Research into diabetes and obesity has made some huge strides in recent years. And one of the most promising findings is related to the functioning of BAT, home to brown adipocytes. BAT has been revealed to be a major site for lipid breakdown and glucose uptake. 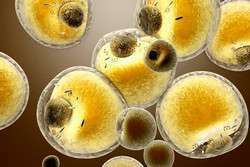 In fact, the thermogenic capacity of even small amounts of brown adipocytes has emerged as an attractive target for anti-diabesity (diabetes and obesity) therapies. That's why, for the past four years, the EU-backed DIABAT (Recruitment and activation of brown adipocytes as preventive and curative therapy for type 2 diabetes) project team has been working to develop innovative, energy-consuming, BAT-centred therapies for at-risk individuals and patients with type 2 diabetes. In order to advance BAT knowledge toward the development of strategies and therapies, DIABAT explored the differentiation, function, dysfunction and physiological regulation of brown adipocytes. The team employed experimental cellular systems and animal models as well as studies on human volunteers using BAT imaging methods for in situ functional analysis. This means that, crucially, the experimental findings are now primed for clinical exploitation.